Today we’ll talk about website design in a big type style ant its distinctive feature is the presence of large images, large titles, large buttons and so on. Big type websites can be implemented with WEB2.0, minimalist style or on the contrary can be bright promo sites with interactive elements. Also large type designs have a length of a few screens and in order to browse entire website you should scroll it down a lot. This is the main difference – all the content is placed on all length of the page. It’s convenient, easy to perceive and beautiful. 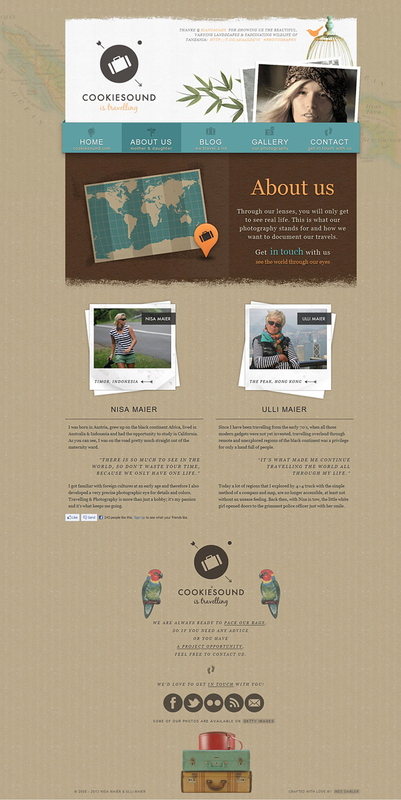 And many web builders offer t their users website templates in this style. We picked up a selection of the 10 most impressive big type websites that can be a source of inspiration for web designers. If you want to open your own online store check out our article about How to Create an eCommerce Website. Good review and great collection. Awesome Designs and also these designs are created seo friendly. Nice work. I have learnt various stuffs from this site. Designs you posted here are very inspiring and creative. Well designed websites are first impression for online visitors. Now days most of the business is driven by websites. Thanks for sharing a great post. These designs are really great! Web designing is a good online business.